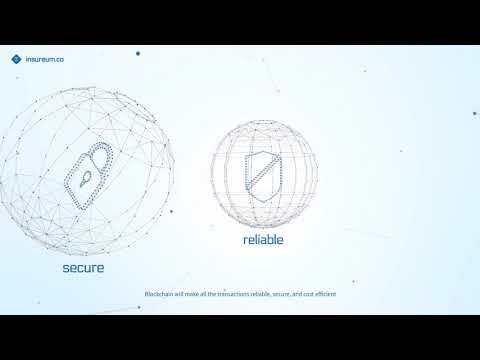 The Insureum Protocol uses blockchain to create a decentralized ecosystem that connects insurers, their policyholders, and third parties. Despite the insurance industry’s success over the last 30 years, it has never been a technology leader. Finally, with the Insuruem Protocol, the insurance value chain will become cost efficient and simple, and create larger value in the insurance industry by enabling transactions between stakeholders. Insurance companies, policyholders and 3rd parties alike can all make transactions according to their own competencies, and all excess value (created from the transactions) is shared based on their contribution. Zikto started negotiations with insurance and financial institutions in 2015, concerning the gathering and processing of lifecycle data. It was these new connections that led Zikto down the path toward changing their focus as a company. The Zikto team realized that a lot of players in traditional finance-based sectors have a strong initiative to understand their current and potential customers. A data-gathering intermediary can be a real asset for these sectors to understand their target audiences. With reliable data, they can develop better products that are customized, digitalized and more cost-efficient. However, it is very difficult and costly for these sectors to gather this data by themselves. It requires a significant investment of time and money to develop and integrate such a system, market it to the public, manage the data gathering processes, and analyze it. The Challenge, Zikto’s data integration platform, bridged the gap nicely by providing data and analysis gathered from various smart devices. Zikto secured a number of sales agreements and ongoing negotiations with global insurance companies, as The Challenge offered a good value-for-price. As just one of millions of app developers, Zikto ultimately decided to side with the win-win monetization strategy of adjusting their focus to the processing and integration of data. Now, Zikto is expanding the idea of data sharing to another level: developing a protocol to facilitate the transactions. It will promote more stakeholders in the traditional insurance industry, benefiting all. Insurers will find easier ways to gather data, users and policyholders will have access to better insurance products, and third parties like app developers and sales agencies will find optimal ways to monetize their services and products. The Insureum Protocol is a new blockchain-based insurance ecosystem that seeks to connect insurers, their customers, and developers. It is designed to assist insurance companies in tailoring insurance policies to individual lifestyles to provide unique incentives for customers. Zikto’s vision is for the Insureum Protocol to create the conditions through which many new insurance products attractive to people under the age of forty are developed. Tough industry with a lot of regulatory hurdles. However, this is an innovative product with a strong team with a record to boot. Would look forward to measured progress. Time unknown? In a nutshell, i think this industry is too regulated to introduce blockchain at least in the next 3-5 years. The WP is not informative as to the marketing and business model. Many schemes, but where are the numbers? The MVP link leads to smart contract only? And last update 4 months ago? Big Team with experienced advisory board. Interesting project. KYC Done. Great vision. Wish them to get proper success. Disclaimer: This is an independent review on the ICO and does not lead to investment advice. ICOs are risky, kindly do your own research before investment. Blockchain pilot project with SKT and CoinPlug. Team and Advisory board development. Pilot testing of Inserum Protocol with The Challenge as a data platform. Globalise user data gathering platform. Launch The Insureum Protocol (Phase 0). Pilot test process automation of Underwriting.